Last Night's Parties: The Washingtonian's Best Of Washington Party, The 22nd Annual Sinatra Soiree, The Smithsonian's Garden Of Wonders Party & More! 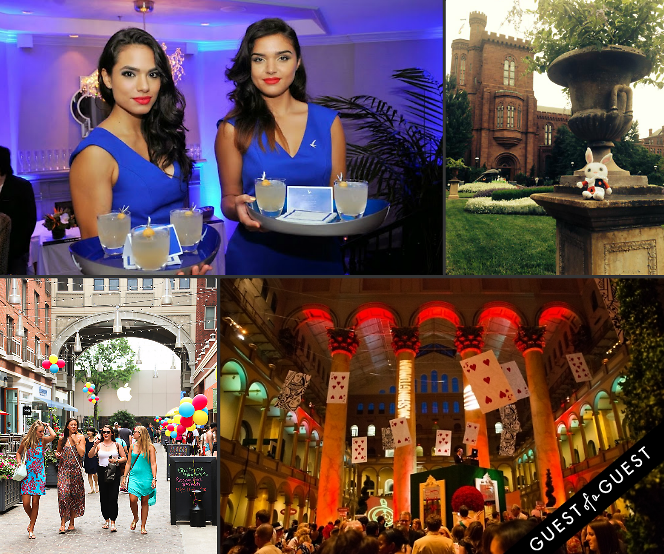 Last Night in DC, The Washingtonian Magazine held their Alice in Wonderland themed Best Of Washington Party, The Capital Club's 22nd Annual Sinatra Soiree took place at the National Museum Building, the Smithsonian also paid tribute to Alice in Wonderland with their Garden of Wonders Party, and more! Urban Daddy• BMW• Pool Party• Patron• Alice in Wonderland• Smithsonian• AT&amp;T• Bethesda Row• sinatra soiree• The Capital Club• Grey Goose• Sprinkles Cupcakes• Fritz Brogan• rooftop party• Ryan Seelbach• Graffiato• Washingtonian Magazine• Embassy Row Hotel• The Mission• The Huxley• Sax Restaurant &amp; Lounge• Bethesda Row Sidewalk Sale• The Graham Georgetown• Smithsonian at 8• street festival• The Washingtonian• Grey Goose Le Melon Tasting Party• Victorian-style Enid A. Haupt Garden• DJ Alkimist• Embassy Row Rooftop Party• Enid A. Haupt Garden• Stubble and Stache• Grey Goose Le Melon Launch Party at The Graham• Le Melon Grey Goose• Fruit of Kings• Cavaillon melon• Embassy Row Rooftop Grand Opening• The Washingtoinan Best Of Washington Party• At&amp;t Best Of Washington• Washingtonian Best Restaurants• The National Museum Building• The 22nd Annaul Sinatra Soiree• RKO Sinatra Band• Garden of Wonders Party• Alice in Wonderland Tea party• Bethesda Summer Sidewalk Sale!